Before learning to write, it is important that children practice tracing and drawing with a pencil to gain basic pencil-control skills. Our preschool worksheets and pre-writing activities lead to the ability to form letters and numbers. 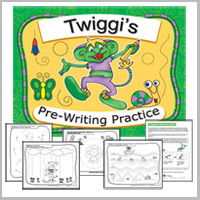 Progressing from straight vertical lines to more challenging lines, such as curved, zigzag, and diagonal, Twiggi’s Pre-Writing Practice Workbook (16 pages) gives your child the opportunity to trace and draw in a fun and motivating format. Children practice more challenging lines. 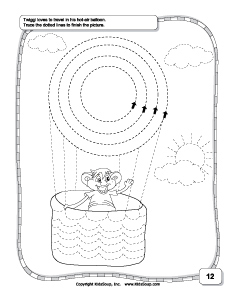 Curved lines pre-writing skills practice and worksheet. 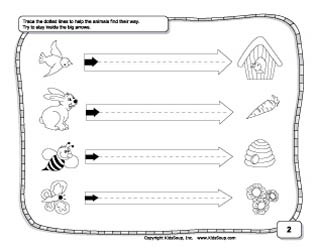 Follow the line prewriting worksheets and fine motor skills practice. 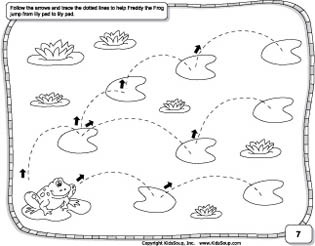 Lots of circle pre-writing practice worksheets. 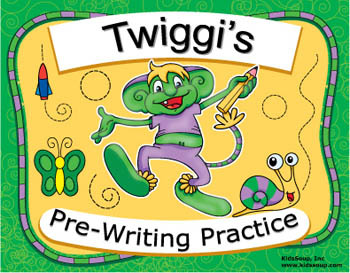 Our Twiggi's Pre-writing Practice workbook assumes that your child can draw simple lines with a pencil. A short, soft pencil is easier for small children to hold. If your child is not yet accustomed to using a pencil, a crayon is a good starting tool. Holding a pencil properly can be difficult for a child who does not yet have enough strength in his or her hands and fingers. Use these fine motor skill activities to help strenghten your child's hand and fingers. 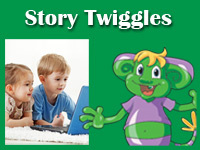 Help your child use relaxed rather than cramped movements as he or she writes. Demonstrate how to properly grip the pencil between the thumb and pointer finger, letting the pencil rest on the middle finger. Teach this skill gradually so that your child retains interest and does not become overly tired. To help your child relax, have him or her shake the hands, make drawings in the air, or roll a piece of clay inside the hands. Keep the writing lesson short — five to fifteen minutes is plenty of time for practice. Stretch the amount of pencil time by incorporating drawing and coloring. 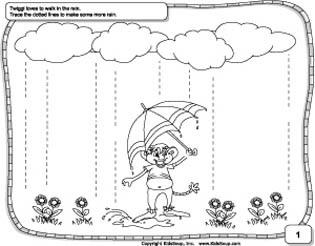 Give a lesson daily, or at least three times a week with our fun pre-writing skill worksheets. Put the pencil on the bending middle finger between the joint part of the thumb and forefinger. Have your child grip the pencil with thumb and forefinger. Check the way your child is holding the pencil against the picture. Make sure your child doesn't have a tense grip holding the pencil. Use a break to relax by shaking the hands, make drawings into the air or rolling a piece of clay inside the hands. Is the pencil grip too tight? The three fingers should gently grip the pencil. Use a break to relax by shaking the hands, make drawings into the air or rolling a piece of clay inside the hands. Tension indicates weak fine-motor skills. 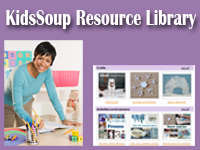 Have your child try some of these fine motor skill activities. Regular Practice. Practice daily if possible, keeping the lessons short. 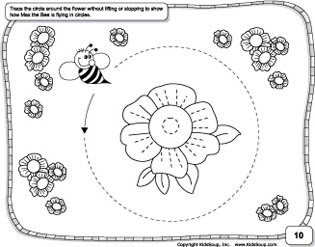 Add coloring or drawing instructions to your pre-writing practice. The Pencil Grip positions the fingers correctly on the pencil. We've found that children like these colorful soft grips, which makes learning the correct grip a bit more fun! 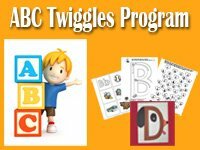 The following activities support young children's fine motor development and will help to build the strength and will enable your child to make precise movements necessary to hold a pencil appropriately. Molding and rolling play dough into balls - using the palms of the hands facing each other and with fingers curled slightly towards the palm. Rolling play dough into tiny balls using only the finger tips. 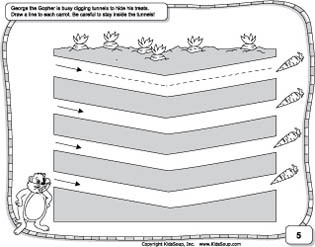 Cutting activities will exercise the very same muscles which are needed to hold and control a pencil. 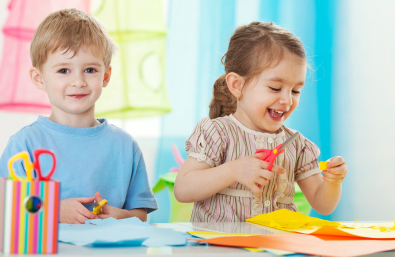 By planning scissor activities of varying complexity you can help children develop and strengthen their fine motor skills. Remember, every child will acquire the fine-motor skills needed for handwriting in a different time table. The more your child uses her fingers in activities, the sooner she will master these skills.